I just can't seem to get away from the bright colors for this set. If you haven't yet seen this set....you're missing out on a GREAT thing! 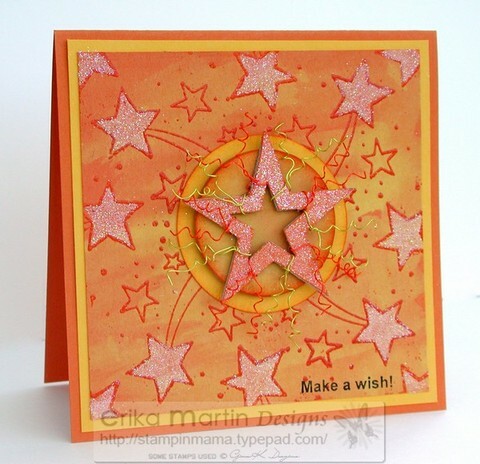 These two images are from the Make-a-Wish set that GinaK designed to benefit the Make-a-Wish Foundation. 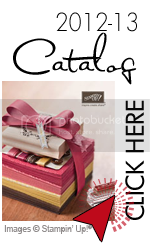 Did you know that $7 from EACH set goes right to the Make-a-Wish Foundation?? It blows me away at how generous and kind Gina is. 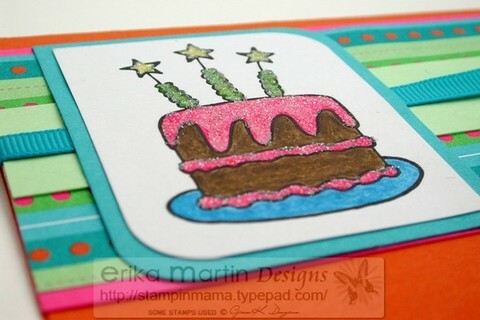 It's one of the biggest blessings I've had in my stamping years to work with Gina. She's an amazing woman and one of my stamping heroes! Total Dollars raised for the Make A Wish Foundation- $2352.00!! We're doing this! YOU'RE doing this! 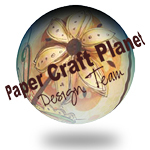 It never ceases to amaze me when I see stampers/scrappers/paper crafters come together to help others. No matter what it is.....if it touches you, you always reach out to touch others back. There's definitely a special "something" about this circle of crafting and I'm so blessed to be a part of it all. I think part of the reason I can't stay away from the bright colors is because the Make-a-Wish Foundation makes me think of all the ways they brighten the lives of children with terminal illnesses. I think about wide, bright smiles. I think of sparkling eyes. I think of dreams come true. 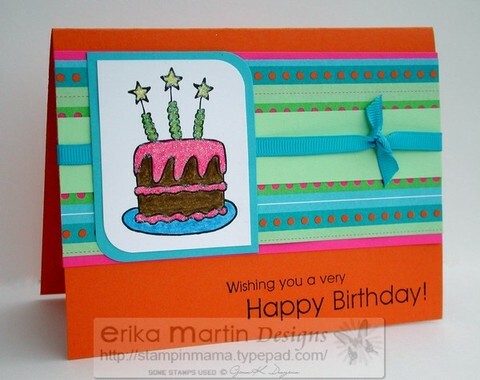 The bright colors and the stamp designs that Gina drew make me feel so bright and cheery. And you all know how I can't stay away from glitter for too long. I stayed away from it for one day.....that was long enough. I had to get my glitter fix again. I just couldn't help myself. And this cake stamp was just SCREAMING for it! It's been a while since I've used my watercolor pencils for just straight coloring. I tend to use them for watercoloring 98% of the time. Now I want cake......in a very bad way. I'll even eat it if it has glitter on it....that's how bad I want chocolate cake right now. I get excited about cards that I make (mostly because I LOVE what I do), but I have to be honest with you and tell you that I haven't been THIS excited and THIS ecstatic about a card as I am about THIS card. I can't pinpoint why....but I just LOVE LOVE LOVE it! Yes, it's another "bleach wash" card, but I've been having so much fun experimenting with colors and intensities of the bleach that I've had trouble putting the bleach away. I was wondering though, does the paper stinks afterwards or not? No, the paper doesn't stink like bleach afterwards. The bleach and the smell burns off quite quickly. If the smell bothers you while you're doing this technique, you could wear a dust mask or a bandanna over your over nose and mouth and make sure to do this in a well ventilated area. I actually did the Tutorial outside on my deck since I knew that I would be using quite a bit of it. When I did the bleach wash on this card, I didn't want it to be uniform looking, so I let some of the bleach sit on the card in certain areas for longer periods of time before spreading it out. I let some of the bleach sit on my paint brush a while before putting it to the cardstock in some areas. This helped to burn off some of the strength of the bleach and created some light and some dark areas. 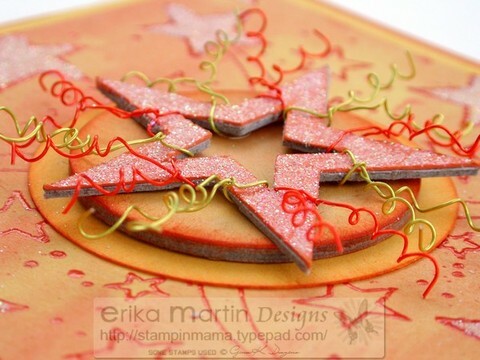 I used my Stamp-a-ma-jig to position the stamp evenly around the cardstock 4 times to get the starburst look. That tool is awesome when you want to perfectly position stamps. I just kept working with the card until I was happy with it. The stars needed a little bit of "pop" so I used my handy stand-by....Dazzling Diamonds Glitter. A little bit of 2-Way Glue and I was all set. I used a piece of chipboard in the shape of a star and adhered it to a piece of Pumpkin Pie cardstock, then used my Hobby Blade to trim around the star. I covered the front of the star with 2-Way glue and then sprinkled it with Dazzling Diamonds glitter. To keep going with the whole starburst idea, I twisted orange and yellow craft wire around the store curled the ends with the end of my stylus. I covered a round piece of chipboard with a piece of Pumpkin Pie cardstock that I had bleached and then trimmed around it and sanded the edges. I sponged some Pumpkin Pie ink around the edge of the circle. I also cut a larger circle out of Summer Sun cardstock and lightly sponged some Pumpkin Pie ink around that, as well. 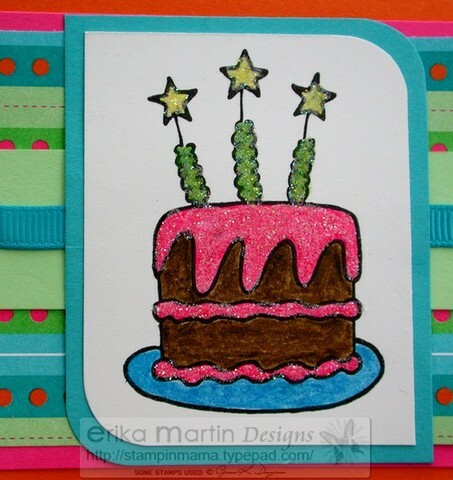 I finished the card off by stamping the "Make a Wish" stamp that ended up being the bonus in the set (read Gina's post here ----> Oops! It's a great thing! to find out about this bonus stamp).